Dorians Challenge and Russian Wave – Cyprus’ No.1 Russian radio station, announce that the cooperation established in September 2016 will be in effect for the upcoming Dorians Coastal Challenge obstacle run. Riding the wave of success for more than 10 years, Russian Wave is not only a radio station; it’s a great information group, a production company of international standards and a team of talented professionals. 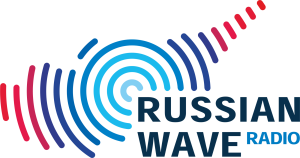 The Dorians Challenge Team would like to thank Russian Wave for being onboard for second consecutive event!